Posted September 6, 2018 . Filed under News. 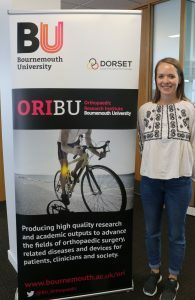 This summer I was given the great opportunity to support ORI with my PR and Marketing knowledge as a Student Research Assistant. As a former PR student with experience in content strategy I was tasked to improve ORI’s online communication across all platforms. Being the only ORI team member with a communication and PR background, I was given the great opportunity to work independently on ORI’s online communication. Working independently taught me to put greater focus on how ORI will implement my communication strategy and make the most of my ideas after my time at ORI. During my two months at ORI I successfully launched and created a Facebook page, changed the content and design of the ORI website, implemented an online strategy for all platforms online, and finally, created social media promotion cards. It was a pleasure working amongst Associate Professor Tom Wainwright, Professor Rob Middleton, Tikki Immins, Louise Burgess, Mara Catalina Aguilera Canon and Shay Bahadori. Everyone at ORI was really friendly and helpful and made me feel like being a proper part of the team. I truly enjoyed working at ORI; the team is professional, highly motivated, friendly and inspirational.